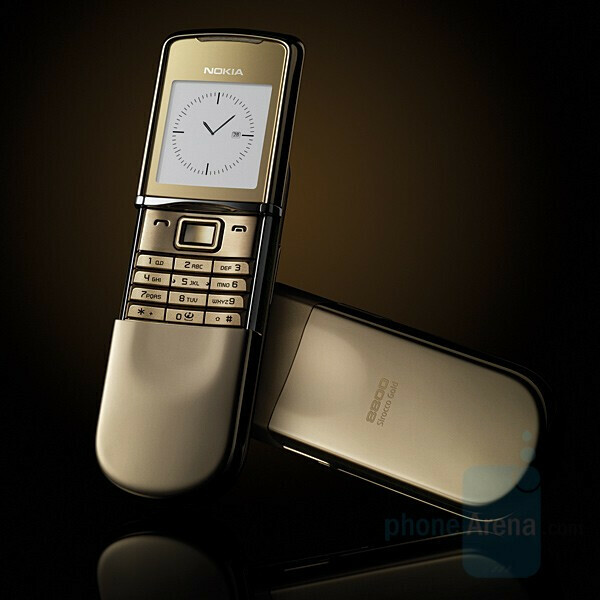 What Nokia did is to take its most-expensive phone and gave it even higher price and more stylish look in Gold color – this is the Nokia 8800 Sirocco Gold. The new Sirocco comes with 18 carat gold plating and some white gold accents in order to deserve the EUR1000 pricetag (about USD 1350). The Sirocco Gold is now shipping in selected markets, and in the box it comes with similarly styled Bluetooth Headset. Otherwise, the Sirocco Gold is identical in features to the ordinary version. It has the same 262k color display with sapphire-coating and 2-megapixel camera.